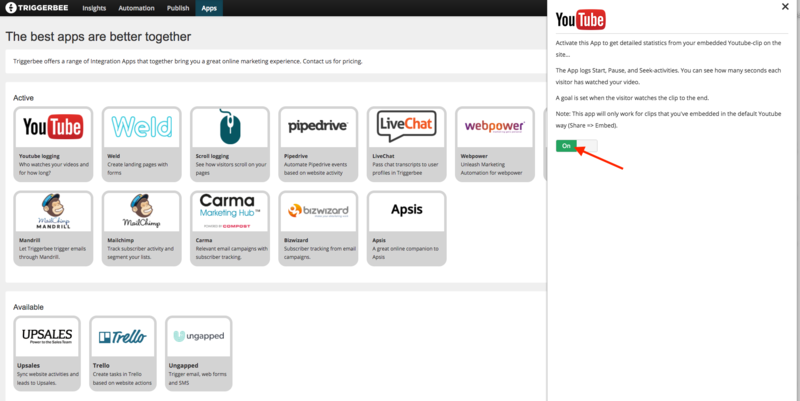 Navigate to "Apps" in your Triggerbee account and activate the Youtube logging App. See who's watching your videos, when a visitor has completed watching a video a goal will be created and you can see the data under the visits in Insights. Based on that goal you can trigger a lot of activities. For example you can update that information in your CRM or create a label that says "watched video" that vill be saved on that contact.